Saturday in Summer are always filled with wedding party around here ! Beautiful landscapes, olive tree, sunshine, the sound of cicadas... are the perfect background for these particular days. So why not have a little craft wedding party for ourselves today ? So here is what I used : the silver sheet from Embossed Foil stack and red cardstock by DCWV, some red dot rubbon by May Art Ribbons, a Sizzix die for the leaves, mini glue Dots, Score-Tape and roses by I Am Roses. 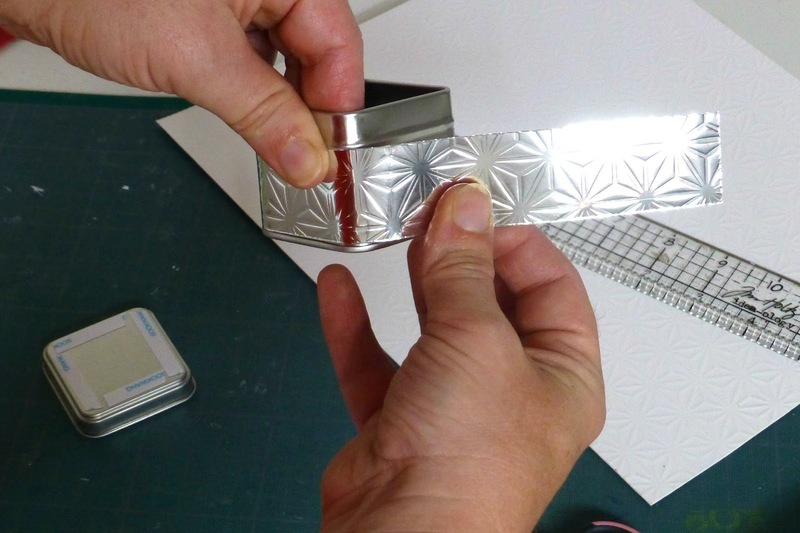 You need first to measure the perimeter of your tin and the height below the lid to cut your silver paper. 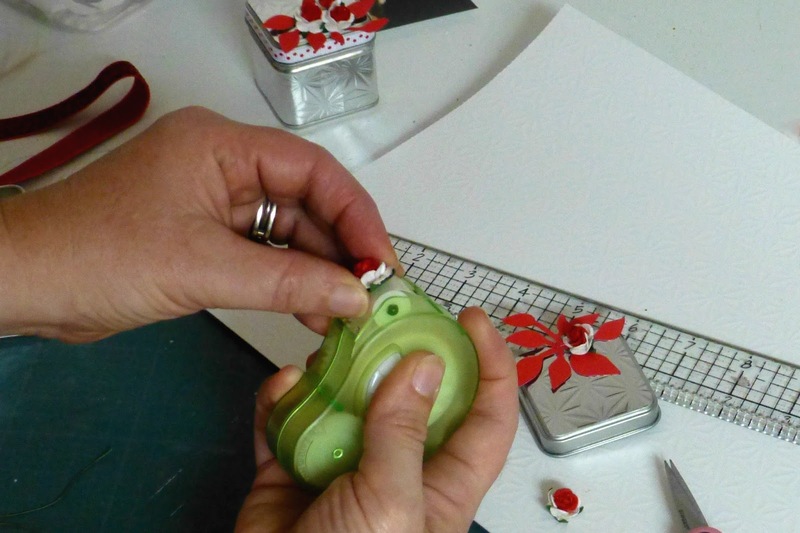 Add double-sided tape around the tin and on the top of the lid. 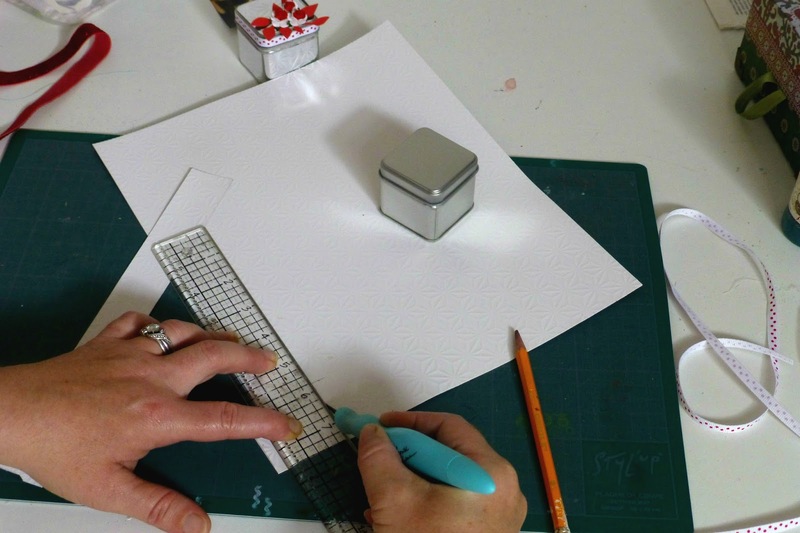 Remove the tape protection and apply the paper. 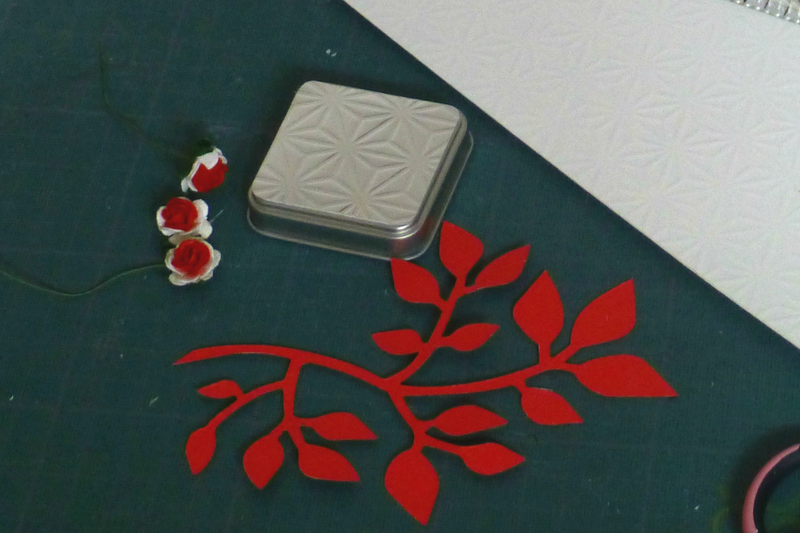 Cut leaves in the red cardstock. With double-sided tape, apply ribbon around the lid. 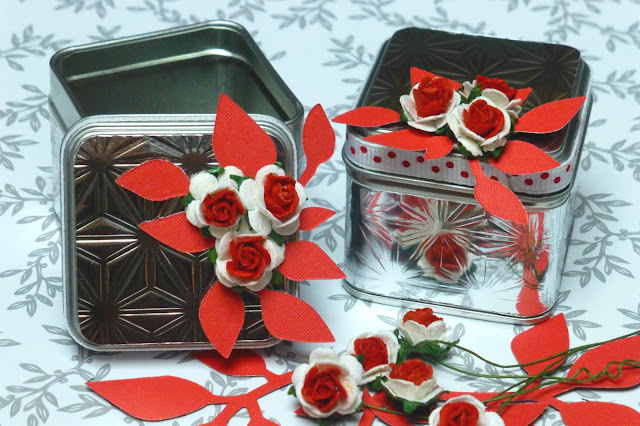 With mini dots, adhere roses and part of leaves on the top of the lid. Easy, quick AND cute, right ? 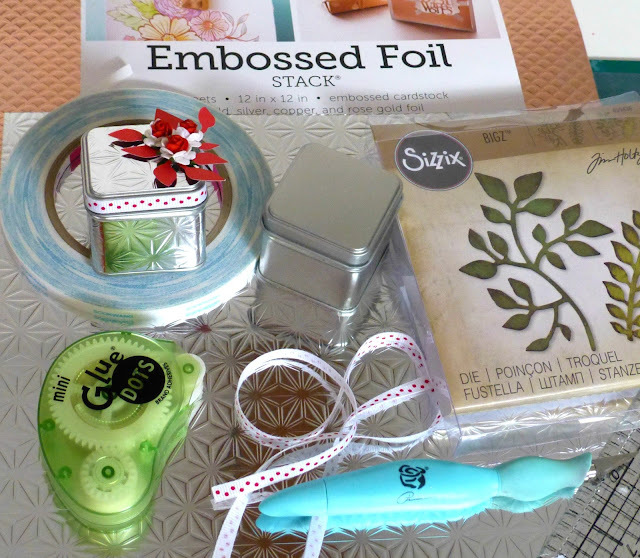 You're going to craft like crazy now... or at least I hope so !